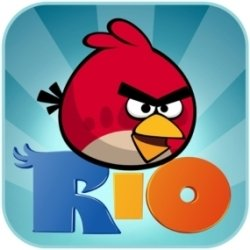 If you've beaten all 456930 levels of all 3 flavors of Angry Birds and can't wait for 30 more that Rovio teased us with, take a deep breath and go in for the kill - the update to Rio just went live in the Amazon Market. Beach Volley, the 3rd Rio stage, following the Smugglers' Den and Jungle Escape, brings 30 more levels full of birds (including Blu and Jewel tied at the feet), monkeys, and you guessed it - beach balls. Did I mention monkeys? 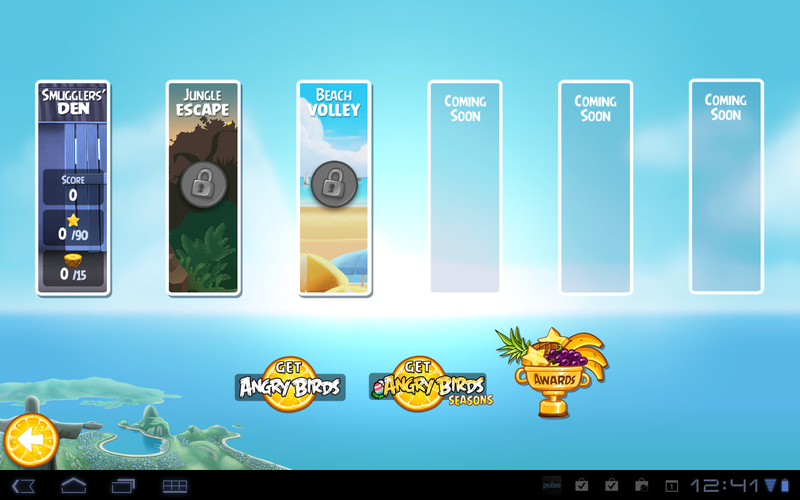 Unsurprisingly, you will need to have passed the previous stages before you can proceed to Beach Volley, as evident from this screenshot of my Samsung Tab (I have an excuse, OK? It's new). The update is available right now in the Amazon Appstore - if you've gotten the game through the Android Market (especially if you're outside the U.S.), you're going to have to snooze for a bit (hopefully, not longer than tomorrow).